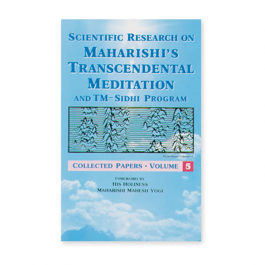 The fifth of seven volumes collects more of the major scientific research studies on the Transcendental Meditation and TM-Sidhi program, from papers published in 1980 to papers published in 1989. A great benefit of the books in the Collected Papers series is that they make available in these reference volumes the research that is otherwise scattered throughout more than 150 research journals as well as early previously-unpublished papers. Following are the reference and summary of the contents for volume Five. Scientific Research on Maharishi’s Transcendental Meditation and TM-Sidhi Program: Collected Papers, Volume 5. Edited by R. K. Wallace, D. W. Orme-Johnson, and M. C. Dillbeck. 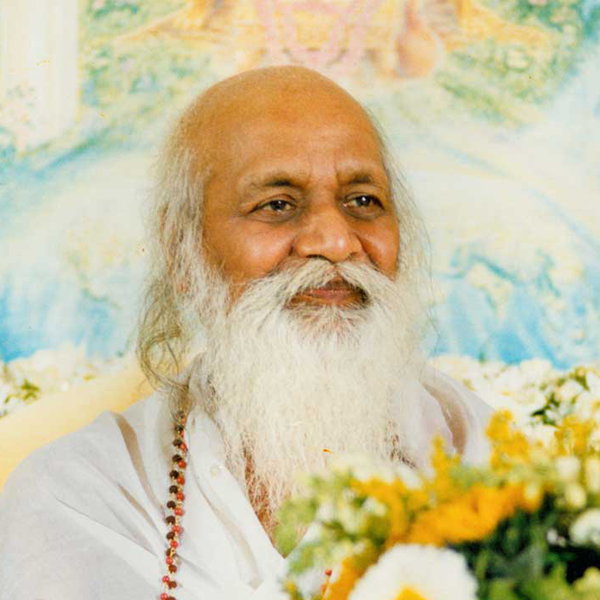 Fairfield, Iowa, USA: MIU Press, 1990. (Papers 356–430) ISBN: Original 10-digit—0923569073; updated—9780923569075; Softcover, 772 pages. Volume 5 contains 75 papers—25 papers on Physiology, 17 papers on Psychology, 14 papers on Sociology, and 19 Theoretical and Review Papers. Published 1990, 772 pages, 75 studies. Edited by R. K. Wallace, D. W. Orme-Johnson, and M. C. Dillbeck. Fairfield, Iowa, USA.